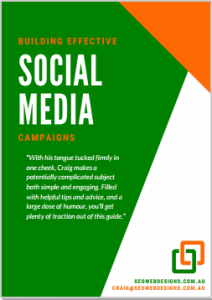 Download our social media guide entitled, Building Effective Social Media Campaigns (44-page PDF) here. Enjoy! Also remember, you’ll receive an occasional email from me concerning important Google and SEO-related news, and any special offers available. I won’t bomb your mailbox. Promise.